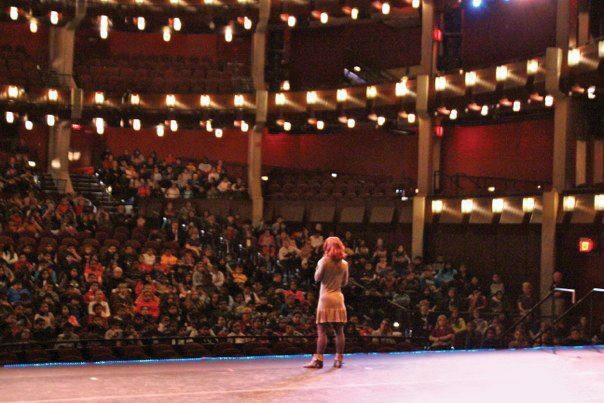 The Educational Outreach program is a partnership of Manassas Ballet Theatre, Prince William County Public Schools, Manassas City Public Schools, SPARK (the PWC Schools Education Foundation), and the Hylton Performing Arts Center. In this program, MBT presents professional ballet performances exclusively for students of the Manassas and PWC public schools. Each performance is provided free of charge to the students and the schools. Annually over 6,000 students participate in this unique program. The selected classes watch an introductory video, which explains about the Hylton Performing Arts Center, Manassas Ballet Theatre, the process of putting a ballet performance together, and how to be a properly behaved audience member. On the day of the performance, the students are transported to the Hylton where they watch a professional ballet production at a world class venue. Besides enjoying the artistry, the students have a socializing and culturally broadening experience that few would otherwise ever experience. At the end of every performance, the students have the opportunity to interact directly with the artists and ask questions. After returning to school, the teachers incorporate elements of the performance experience into the SOL curriculum. The cost of the program is supported by sponsors and by MBT’s general operating funds. 2019-20 Season Memberships Now On Sale!